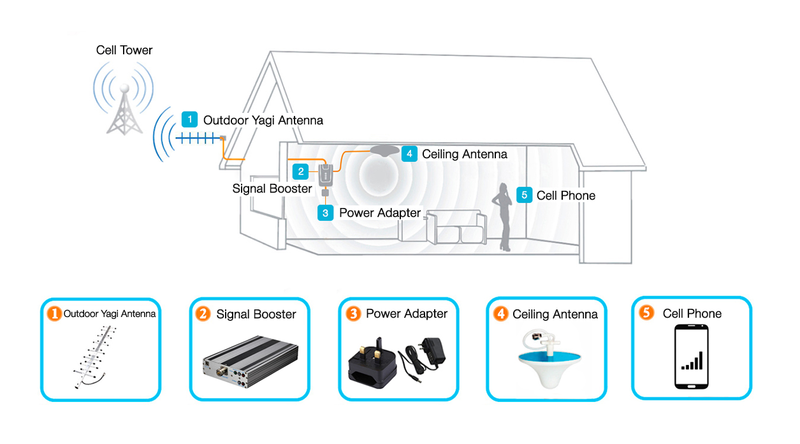 GSM power line signal booster is a high-performance repeater for calls which covers areas up to 1000 sq. m. Great package for poor coverage areas (1-2 bars outside) to boost large house offices warehouse etc. This model has got both automatic and manual gain control giving you very stable signal. It will boost major Ireland O2 Vodafone and Eir (Meteor) operators' signal for the frequency 900 MHz. Model is coming with a powerful Yagi antenna. For a larger area of 1000 square meters this model provides an amazing option. 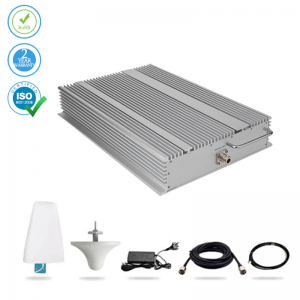 This all round kit is aimed at giving you an easy solution to boosting your mobile signal over a larger area. 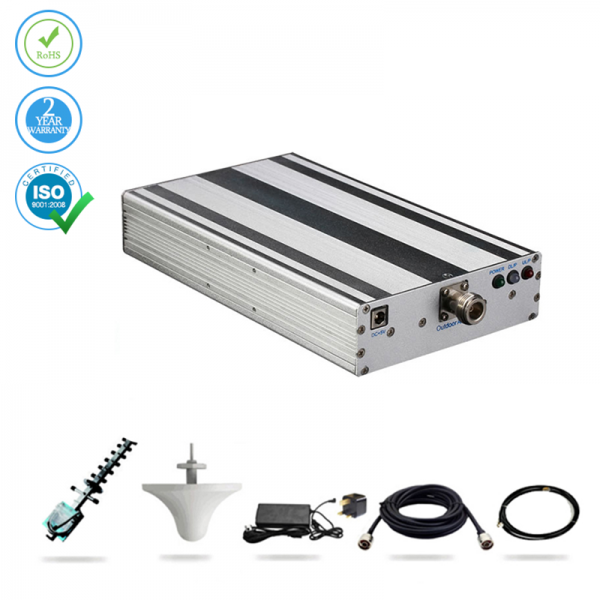 With voice cell phone booster you get the full assembly kit. You need just 15 minutes to set it up and even your kids can do it. It is that simple. Just follow the instructions and within no time, you have set up a booster that is working wonders for you. And if you are worried, there is nothing harmful in the waves emitted by it. It is good for use across Ireland as all cellular service providers support the 900 MHz range. If there are any issues that crop up at any time, we are here to help you, 24/7. We will make sure that you have the coveted 5-bar signal around the area. And what is more, this device has a pretty cool design to back it. 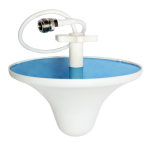 Boost Vodafone and Eir (Meteor) network operators with this device. 1000 sq.m. Cellphone Booster is working in GSM 900 MHz frequency with many Ireland mobile operators. Price includes free delivery and 1-year warranty!